Freecharge - Get Rs.10 Cashback On Minimum Recharge of Rs.10. This offer is valid for all users. Hurry up & do it now before it expires! 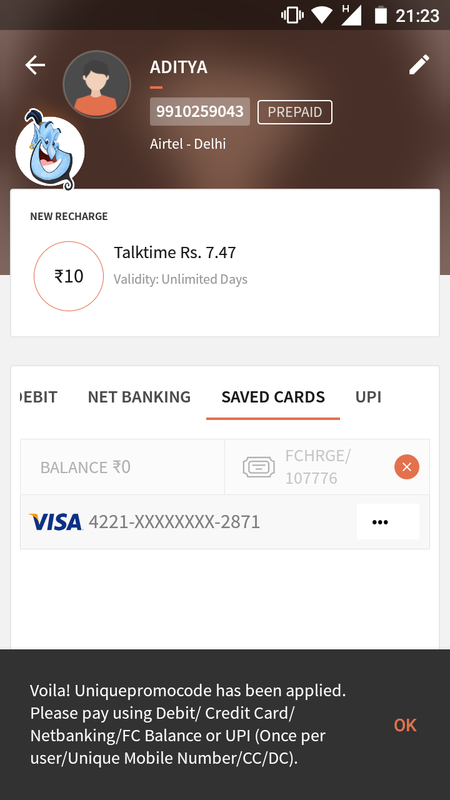 How to Get Rs 10 Cashback on Rs.10 Recharge at FreeCharge? 3) Now Initiate a Recharge of Rs 10 or above.